The summit of Arthur’s Pass over the Southern Alps between the headwaters of the Ōtira and Bealey rivers marks the boundary between Canterbury and the West Coast. The pass was known to Māori, who used it to bring pounamu (jade) across the Southern Alps. It was crossed for the first time by Europeans in 1864 and named after the surveyor Arthur Dobson. In 1863 Thomas Cass, the Chief Surveyor for Canterbury, asked Arthur Dobson to look for a pass between the Waimakariri River basin and a valley running to the west coast. In March 1864 Dobson set out with his brother George. At Craigieburn they were joined by their brother Edward. On the advice of the West Coast chief Tarapuhi, the Dobsons travelled up the Waimakariri and into the valley of the Ōtira River. On his return to Christchurch, Arthur included a sketch of the unnamed pass in his report to Cass. When the West Coast gold rush began in 1865, a committee of businessmen offered £200 (equivalent to $22,000 in 2016) to the discoverer of the best route from Canterbury to the West Coast. George Dobson, sent to examine every option, concluded that ‘Arthur’s’ pass was by far the most suitable for a direct crossing. When the Canterbury provincial government began constructing a road from Christchurch to Hokitika, Edward Dobson was put in charge of the project. The road opened to coach traffic in July 1866. 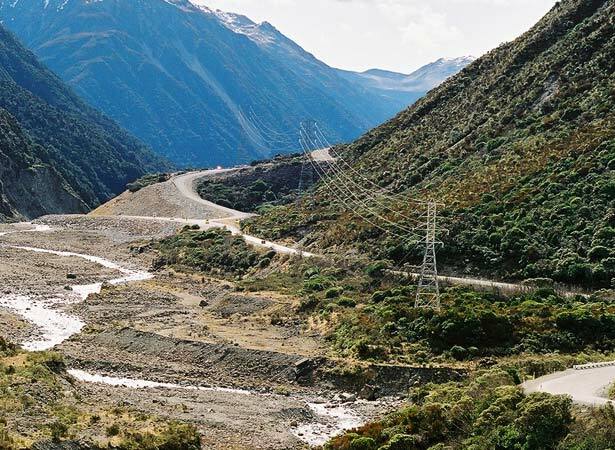 It ran over Porters Pass to Cass, up the Waimakariri Valley to Bealey, then over the newly named Arthur’s Pass. In 1929 Arthur’s Pass National Park was created. In a tragic sequel to the Dobsons’ explorations, George was murdered by the notorious Burgess Gang in 1866. While working on a road near the Grey River, he was mistaken for a gold buyer and killed. We have 2 biographies, 1 article, related to Arthur's Pass 'discovered'.